If you want to ensure your HVAC system is functioning at its optimal capacity between seasonal tune-ups, one of the easiest steps you can take is regularly changing your air filters. 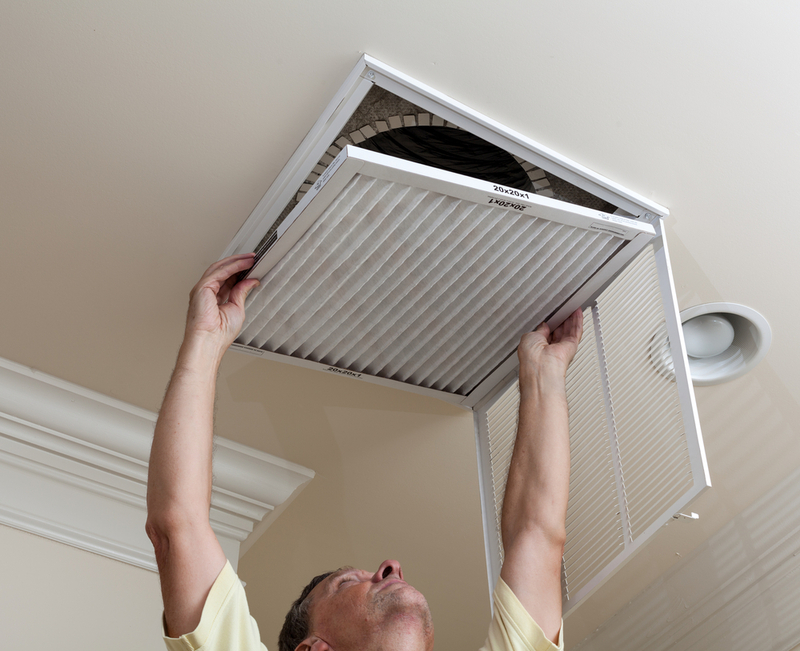 It is generally recommended that you change your air filters once a month, or when they begin to look dirty. 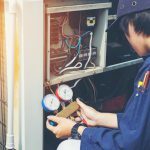 However, people are often lackadaisical about their filter replacements, which in turn compromises the health of their A/C units and forces them to make costly repairs. A dirty filter can cause allergens to build up in your duct system, and those allergens are released into the air you breathe every time your system is running. 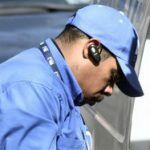 Regularly breathing in the dust and debris can lead to a number of physical symptoms such as headaches, fatigue, tightness in your chest and other cold-like symptoms. If filters are not regularly cleaned or replaced, your system’s cold air flow will be restricted and the air will build up inside the air conditioner. Eventually, the cold air can cause ice to form on the coils, and your A/C unit to freeze up. Insufficient airflow not only causes your coils to freeze but can also lead to inconsistent temperatures throughout your home. If you’ve noticed that some rooms in your home are hard to cool while others consistently feel too cold, changing your air filter may be a quick and easy solution. Periodically throughout the day, your air conditioner is supposed to cycle on and off. But, if your air filter is dirty the unit will cycle more frequently than necessary, which leads to wasted energy, sporadic temperature changes and, ultimately, less comfort in your home. When your air filters are dirty, it causes your A/C unit to use much more power to cool your home, resulting in higher utility expenses. While the price of a new filter varies, they can cost you as little as $10—much less than an outrageous energy bill. If you’ve changed your air filters, but you’re still experiencing any of these problems with your HVAC system, call Barineau Heating & Air Conditioning at 850-580-4029 or 229-495-6599 to schedule an inspection.